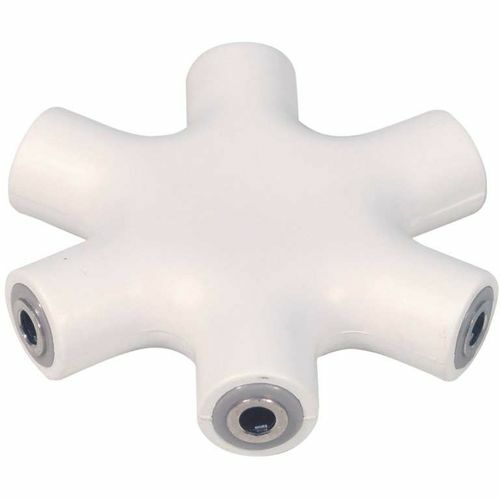 This compact adaptor allows you to share and enjoy your music and movies with your friends connecting up to 5 headphones to your music or movie player. 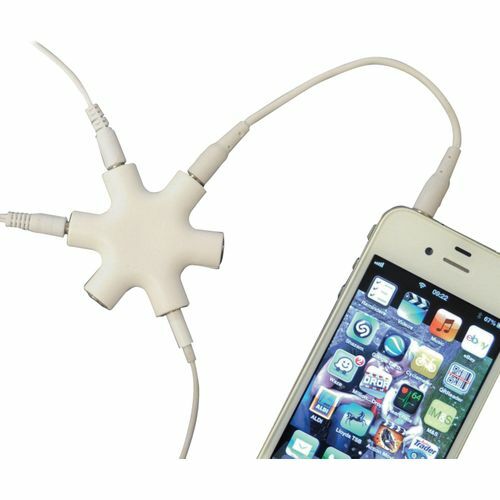 Fully compatible with all versions of iPod, iPhone, iPad, also Smartphones, PCs and MP3 or CD Players, the 5 Way Audio Splitter comes complete with a removable lead ending in 2x 3.5 mm jack plugs. You can use the Audio Splitter to connect multiple media devices for simultaneous playback.